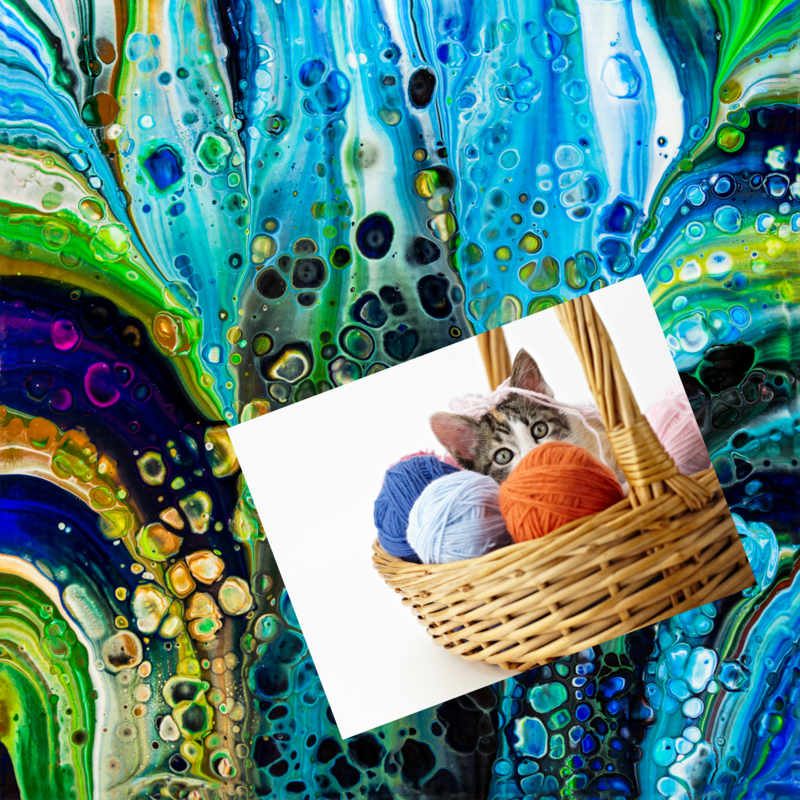 Detail: Have you seen Loopy Yarn and wondered what you can do with it? Join Ann this Tuesday or Thursday from 4:30-6:30pm to find out. No crochet hooks or knitting needles needed and leave class with your very own scarf. Cost: $15 and you’ll need to bring a skein of Loopy Yarn in the color of your choice to make your very own scarf! Please register for class on our main page! For more information you can contact the Makerspace Coordinator by: calling 740-370-6399, or emailing at bb2cmakerspace@gmail.com. Detail: Join one of our mentor moms for a fun night of fellowship, fun, and laughter. This is a great evening to connect with other MOPS and MOMSNext moms and chat with a mentor that has survived the baby, toddler, and preschool years! Detail: Curious about 3D printing? Never tried it before? This class will introduce you to the components necessary to print a 3D object. This class runs from 4:30 to 6:30pm. Stay longer for more introductory tips or work with Owen during regular Makerspace hours. Cost: $5.00 Please register for class on our main page! For more information you can contact the Makerspace Coordinator by: calling 740-370-6399, or emailing at bb2cmakerspace@gmail.com. Detail: Little or no experience with painting? Come and try pour painting with Maddy for this introductory lesson into painting that does not use paint brushes. Learn the techniques needed to make your very own 16” x 20” painting. Cost: $30.00 Class Limit: 10 Please register for class on our main page! For more information you can contact the Makerspace Coordinator by: calling 740-370-6399, or emailing at bb2cmakerspace@gmail.com. Detail: We have great fish and it’s all you can eat for only $8. You also get with your order Fries, Cole Slaw, and a Roll. Come get some great food we hope to see you all there. Detail: If you are working on a sewing project and need help or advice, stop by between 10 and 1 today to get Ann’s help. Cost: $10.00 Please register for class on our main page! For more information you can contact the Makerspace Coordinator by: calling 740-370-6399, or emailing at bb2cmakerspace@gmail.com. Detail: Start creating the artisan jewrey you have always admired. Learn to cut and mount your very own custom cabochom pendant. You may bring your own photograph or printed material to put in your 1” your pendand if you like. All required materials will be provided at the class. You will leave with 2 custom pendants. Cost: $20.00 Class Limit: 15 Please register for class on our main page! For more information you can contact the Makerspace Coordinator by: calling 740-370-6399, or emailing at bb2cmakerspace@gmail.com. Detail: Join Maddy for a relaxing evening painting happy little trees! Absolutely no experience required to have a great time and create your own Bob Ross inspired painting. Cost : $30 Class Limit: 10 Please register for class on our main page! For more information you can contact the Makerspace Coordinator by: calling 740-370-6399, or emailing at bb2cmakerspace@gmail.com. Detail: Come try all of the fitness classes offered at Stacey’s Dance Studio in one afternoon and find the class that is perfect for you! Free demos of POUND, AMPD Resistance, Barre Above, Yoga, VeraFlow, Strong by Zumba, Pilates, Floor Barre and Tap-N-Burn will be offered throughout the evening. Meet the instructors, find out how we can help you meet your goals in the new year. We would love to have you in our fitness family! Refreshments will be provided in between classes. This is a FREE event! Invite your friends and family to join you for this fun evening of exercise and celebrating you! Detail: Campus Martius Museum’s annual archaeology day will feature many new displays from private collections. Along with many prehistoric objects, several displays of materials recovered from 18th century native and military camps located in Ohio will be on display for the first time. Throughout the day, several programs will be offered. For young archaeologists, Andrea Keller, Grave Creek Archaeology Complex located at Moundsville, WV, and Glenna Hoff, Education/Program Director at Campus Martius Museum will be offering several hands on activities. This is a great opportunity for future archaeologists and paleontologists to examine artifacts by participating in simulated digs. Don’t miss the opportunity to handle real dinosaur bones! Have you ever wondered how flint tools such as knife blades and arrowheads were made? Several flint-nappers will be on hand demonstrating the skills that were necessary to make these important objects. William Pickard staff archaeologist from the Ohio History Connection will be available throughout the day to identify objects. He invites the public to bring in their finds for examination. Join us for an exciting day of Digging the Past at Campus Martius Museum. Inquiries? Contact Bill Reynolds at 740-373-3750. Detail: Ugata:drum and dance is a series of classes taught by Lawrence R Greene based in West African drum culture. Ugata or Underground African Themed Arts was created in Southern Ohio and the Mid Ohio Valley to continue the legacy of the Underground railroad and abolitionist movements by using music to spread cultural understanding. Students learn the same traditional parts so that any students can join in on performances that are in their area. We will be playing djembes and djun djun bass drums. Lawrence will bring the djun djun bass drums and a few extra hand drums for students to use during class. Students can also get discounts of drum sales and drum tightening and reheading drums. Current class are in Athens, Logan, McConnelsville, Granville and now Marietta. Saturday, January 19, 2019 from 1:00-3:00 p.m. at The First Unitarian Universalist Society of Marietta; 232 3 rd Street in the Social Hall. Lawrence Greene of Ugata: drum and dance will conduct the workshop. Workshop fee: $10.00. Advance registration is required. Please call Rev. Kat Hawbaker at (740) 373-1238 or Shelley Khatib at (703) 340-5502 to register. Drums will be provided for students who need them. This is the first in a series of monthly drum workshops at the U.U. Detail: Please come out to the Marietta High School Auditorium to watch the OMEA District IX Junior High and High School Honor Bands. House doors open at 6:30 p.m., and the concert begins at 7:00 p.m. Admission is free and open to the public. Students from the following schools are participating in today’s event: • Belpre • Buckeye Trail • Cambridge • East Muskingum/John Glenn • East Richland Christian • Fort Frye • Harrison Central • Marietta • Maysville • Meadowbrook • Morgan • Philo • River • St. Clairsville • Tri-Valley • Union Local • Warren • Waterford • West Muskingum Please join us in celebrating the culmination of the hours of practice and preparation for this concert. We hope to see you there!